After years of conflict over the Muskrat Falls hydro project in Labrador, an Inuk leader is finally at the table negotiating an agreement with the crown corporation in charge of it. Todd Russell, president of the NunatuKavut Community Council, said a deal is in the works with Nalcor Energy that will see future benefits for the Southern Inuit. 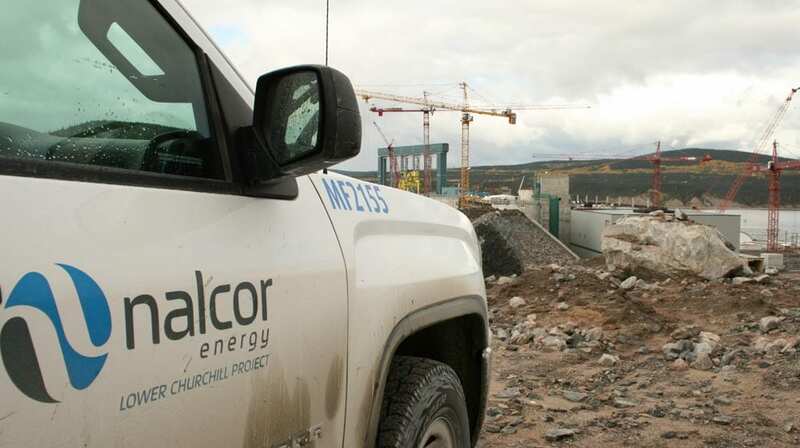 The benefits agreement Russell is negotiating with Nalcor could provide employment, business opportunities, and partnerships in future renewable energy initiatives in Labrador. Russell couldn’t attach a dollar figure just yet but said more information would be coming soon. With the hydro project at Muskrat Falls 85 per cent complete, Russell said he had hoped consultation would have taken place before now. But he’s optimistic about the direction of talks now. Russell said his community development agreement looks way beyond Muskrat Falls. But Muskrat Falls will be making headlines for a long time to come. 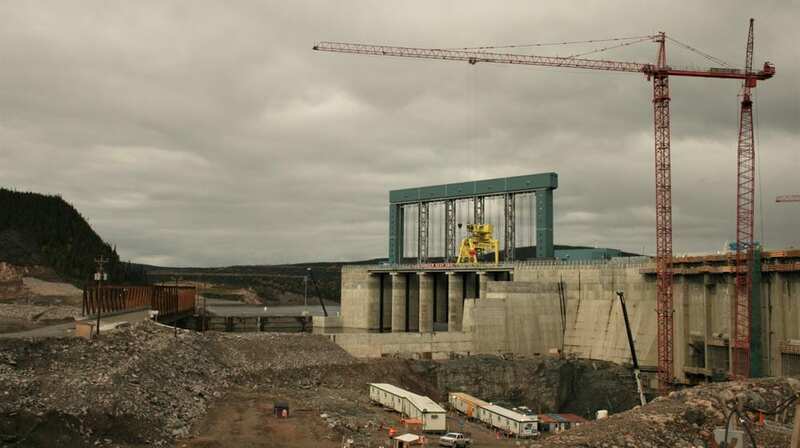 On Monday, the premier of Newfoundland and Labrador announced a public inquiry into the hydroelectric project. The inquiry will look at how the costs of the megaproject doubled to $12.7 billion over the last several years. The cost of electricity for people in the province could double by 2022. But for many Inuit in Labrador, the costs go beyond a dollar amount. The dam casts a huge shadow on people downstream. “Muskrat Falls threatens our very existence as Inuit,” said Amy Norman, in a media release about a 15-stop tour organized by environmental and social justice groups, like the Sierra Club of Canada. 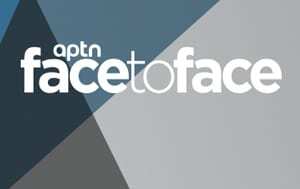 Norman, an Inuk woman from Labrador, will speak about Muskrat Falls at the National Day of Mourning in Plymouth, Massachusetts on Thanksgiving Day, an event organized by the United American Indians of New England. She started in Halifax on Wednesday evening and is trekking through Vermont, Maine, Massachusetts, New York, and New England. “Noise needs to be made everywhere this power has a potential market,” Benefiel told the two dozen people who came out to hear her talk about Muskrat Falls. The more immediate goal of the tour is to build a network of activists ready to rally against the project. But Benefiel ultimately wants the project stopped. The Government of Newfoundland and Labrador has said that with costs of Muskrat Falls sitting at $12 billion, it’s too expensive to pull the plug now. Back in Labrador, Russell is focused on building a new relationship with Nalcor Energy. 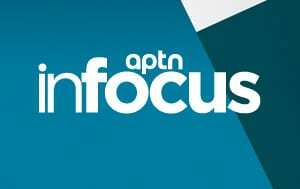 In an emailed statement to APTN, Nalcor Energy wrote, “Our ongoing dialogue with the leaders of NCC have been positive and productive. At this time, a formal agreement has not yet been finalized. In 2010, the province and Nalcor Energy signed an Impact Benefits Agreement with the Innu, who have a land claim in the area of the dam. But the two Inuit groups were left out. As concerns over Muskrat Falls mounted, Russell was a key figure in the ongoing actions against the project. He was arrested during a protest in 2013. He fought a previous injunction at Muskrat Falls in court and had it thrown out. At a community meeting livestreamed last year, he famously tore up the current injunction. At the peak of the rallies at Muskrat Falls in October 2016, Russell was part of the marathon meeting with the premier of Newfoundland and Labrador that ended in a deal to address environmental and cultural impacts of the dam downstream. “The agreement that was reached is maybe a small glimmer of hope that the attitudes of government is changing,” said Russell. 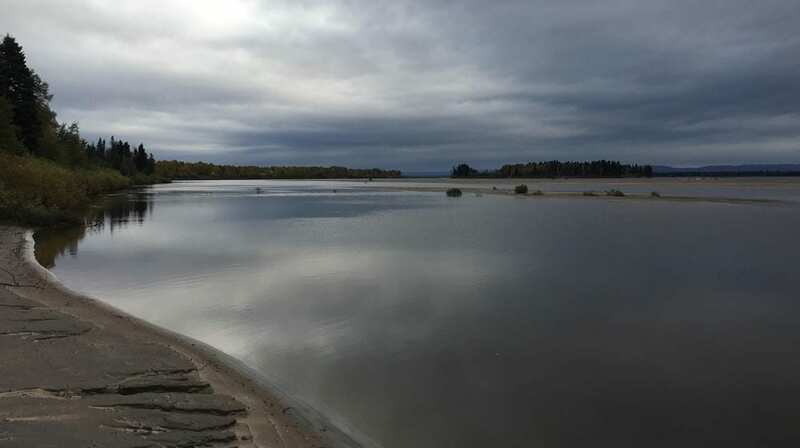 The deal promised that though initial flooding of the reservoir would occur before the winter of 2016, the water would be released come spring before the waters warmed up. The goal was to avoid creation of methylmercury. The toxin is naturally created when trees and topsoil are flooded. 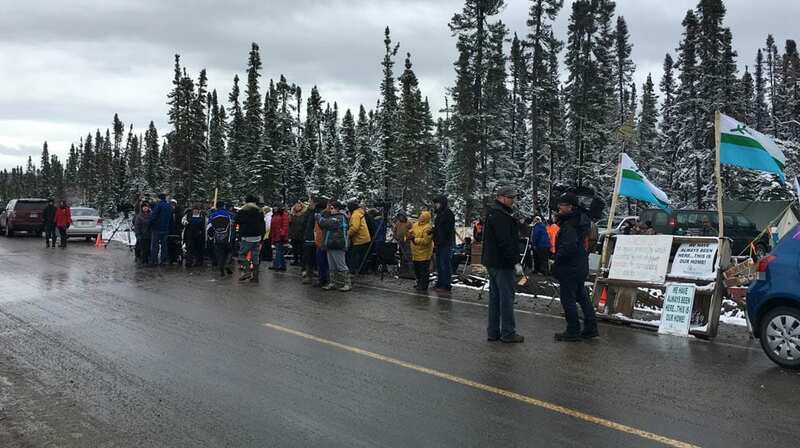 Concerns that methylmercury produced at Muskrat Falls will contaminate the traditional foods for Innu and Inuit downstream was at the heart of the ongoing protests. But news came this summer that the water levels could not be fully released. And the Independent Expert Advisory Committee to study and help mitigate the impacts of methylmercury is underway now but was late starting. “It’s happening with the project three quarters of the way done and so there are certain inherent limitations and challenges,” said Russell. Other critics of the Muskrat Falls project are less understanding. “Nalcor came out and said, guess what? We were wrong. We can’t lower the water. In fact, we’re actually going to raise it a little bit higher this winter and we’re never going to lower it again,” said Denise Cole, an Inuk land protector in Labrador. Cole wants the project paused until Indigenous concerns are addressed. For Cole, reconciliation and Muskrat Falls is like oil and water. “I keep saying you cannot have truth and reconciliation in a land of lies and oppression,” she said. 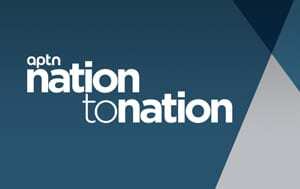 “There has to be a deep consultation that happens with the Indigenous and downstream communities that are impacted by the Muskrat Falls project. Muskrat Falls is only the first phase of the Lower Churchill hydro project. A second, much larger dam, is planned at Gull Island, a traditional gathering place for the Innu. The environmental approvals are in place for Gull Island, but there’s no timeframe for when work might begin. Russell said it’s important to be at the table because it’s clear Nalcor Energy isn’t going anywhere. And neither are the Inuit. “Is it a risk bringing in the room? Of course, there is a risk being in the room cause people will accuse you of saying, well, my gracious. You were on the protest line one day and now you’re in talking to the enemy the next day,” said Russell. “I don’t see it in that way. Am I missing something here? Shouldn’t this have be all ironed out when the EIS (environmental impact statement) was done? Why was this project ever started before this was settled?